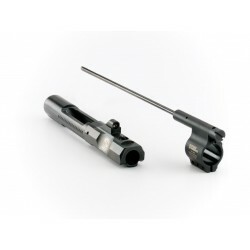 Syrac Ordnance Low Profile AR15 Retrofit Adjustable Piston Kit / System for AR15 - Pistol Length. Bolt Carrier: Carrier body and key are one solid piece. Skis on the back of carrier. This is the Syrac Ordnance New Low Pro Fully Adjustable Retro Fit Gas Piston System for the AR15 style platform. 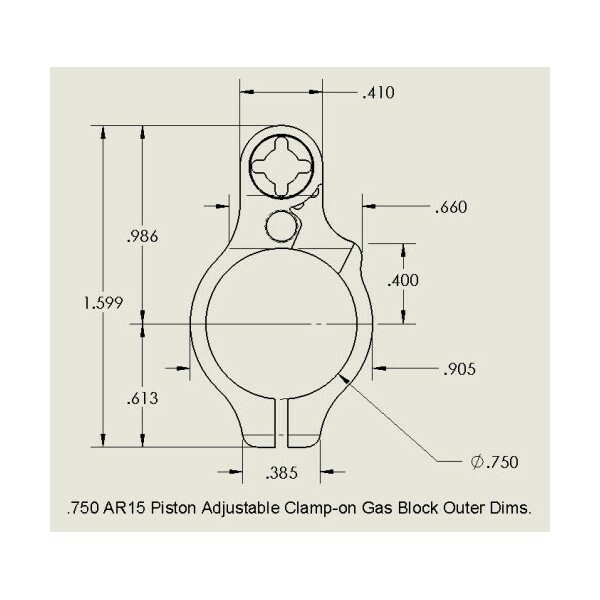 This Piston System replaces the standard AR15 impingement gas system. It makes the rifle run much cleaner without blowing burnt carbon into the upper receiver Group. The piston gas block is low profile and fits under most handguards in the market. It will fit with any barrel nut (if a gas tube fits, the piston rod will fit). The Syrac Ordnance piston system has a gas adjustment screw that is accessed from the font of the gas block with a Allen Key (included). The gas screw is locked into position by a click adjustment. The gas adjustment screw allows you to adjust the amount of gas that enters the system to reduce recoil. You are able to fine turn your rifle based on the type of ammo you use and/or if you are using a silencer. You have the option of completely turning the gas off which causes the rifle to not cycle. All parts, including the gas screw, are removable for cleaning purposes.